March 2018 – Where is Beeks? It was the early spring of 1994 and I was a 23-year-old junior metals trader working for J Aron & Co, the commodities arm of “The Vampire Squid.” That was Goldman Sachs FICC division at Peterborough court in London. It was just like every other morning back then where I waited to pounce on the incoming 10.30am (5.30am NY) call on GDC’s (x2010) line to talk to the head of the business James “the silver fox” Riley to give him the days run down. It would be a morning conversation I would never forget in a hurry as it opened my eyes to the passion, intensity and ultimately the accountability of Money and how traders hungered for it at every level especially at the top. This particular Titan of commodities trading was a short, blue eyed, grey haired 50-year-old American of Irish descent that worked in Manhattan but lived with his family in Long Island. 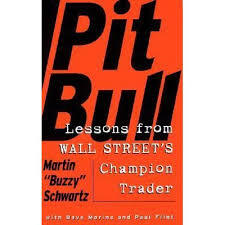 Through my early ears he mentored me, moulded my DNA and business acumen to become part of a distinct group of traders that were respected, feared, and despised by its peers on Wall Street. Even within the walls of GS the commodities division was regarded as the untamed and under regulated wild west of markets. My role at the time apart from fetching everyone’s breakfasts, lunches, teas, coffees, and any other chores the senior traders wanted me to perform was to run the LME Lead book the smallest franchise in the business but with a firm client base. Over the course of the three previous months, due to cold weathe,r the price had risen 40% and the book had on paper made its budget in record time. This however was just on paper and not crystallised. The previous day was at the time my largest daily trading loss of $750,000 and a chunk of my YTD pnl. Having had a conversation with senior traders on the desk the day before I thought that my number within the reporting lines of all the other businesses would be overseen by Jimmy and not noticed. How wrong I was. This particular morning I had my diatribe ready for Jimmy with his systematic questions that he asked for in a precise order every day about markets, prices, flows client activity etc. This concise format sat very comfortable with me as it coincided with my mild OCD. I would later learn to harness the power of it from the Silver Foxes sith apprentice, known as “CJC” who had completed the highest level of Jedi training. The Silver Fox then asked about my previous days PnL, and how I lost $750,000. Without a chance to reply, actually, he went into a fierce offensive attack about the value of the franchise, how I was a mere custodian of it, and how my role was to make sure I captured the value he had worked and fought so hard to build. Back then GS was a private partnership and not the huge publicly listed firm it is today. Every dollar made belonged to the partnership, as the Silver Fox often pointed out to me. His words that particular morning resonated when he told me that I had lost the tuition fees for his four children’s education. He was holding me accountable for it and his expectations were that I would make back the losses. In hindsight this was just a ruse to make me more diligent and RIGOROUS in my thought process on the application of capital. This lesson and the nature of our business back then, may have seemed unfair, but it has never left me. To this day I apply the trading ethos and rigour this man taught me. Of the ten stocks in which Ben Orthwein made markets, his most lucrative was Silicon Technologies. Manufacturing the memory for nearly every PC maker, it figured as the first derivative of the boom in personal computing. ST never failed to make the “Most Active” list and it had made Ben Orthwein a rich man. As part of its complex capital structure, Silicon Technologies had issued a number of preferreds that were traded actively. Convertible into common stock, these preferreds made a profitable cottage industry for the 7 brokers who stood in Orthwein’s crowd day in-day out arbitraging the spread between the two securities. Ben, in private, referred to these brokers as “The Parables” as each seemed to demonstrate every feature of the human morality tale. Pride, avarice, despair, sloth, gluttony, lust and wrath were all on daily display in this small knot of brokers. Curtis Van Valkenburgh, one of this band of arbitrageurs, had joined the exchange years before! thanks to the money his uncle, the cartoonist Peter Arno (born Curtis Arnoux Peters, Jr.), had left him. Like his uncle, he ran hot and risk-taking was his nature. Unlike every other broker on the floor, his badge did not show his initials. Instead, his badge read “AON”, which his fellow brokers knew stood for “All or Nothing”. They despised his preening self absorption, but feared his temper and and cutting tongue. Like Richard Whitney before him, Curtis’s vanity was his weakness and his need to be lionized in the general mind prompted him to give generously to certain high profile charities. Sitting on a dais, honored by an audience of “the unwashed”, as he thought of them, gave Curtis the greatest satisfaction. A call from the Bronx Botanical Gardens to host an upcoming gala with a gift of $500,000 was hungrily accepted. In Van Valkenburgh’s mind, this would establish his place in the world with finality, even if it meant stretching his means to the maximum. In fact, this act of “generosity” would set in motion Van Valkenburgh’s expulsion from the exchange and teach young Schuyler thatchers “honor” held a place well above “glory”. In the months after Curtis has agreed to support the Bronx Botanical Garden gala, Orthwein begins to notice a change in the broker. Where he had been acerbic and cocky, Van Valkenburgh now seemed furtive and reserved. Breaking the shoes of his fellow brokers in the crowd was replaced by what seemed constant anxiety and a remarkable string of what Curtis called “errors”. Orthwein watched this behavior with increasing concern, as he was an acute observer of human nature, and all of these changes promised no good end. These “errors” Curtis had committed, repeatedly changing the “give up” on the orders (“give up” means the name of the clearing house, i.e. Merrill Lynch, that will clear the trade) irritated the others in the crowd and they began to understand that Curtis was front running his orders. When the market went against his buys he conveniently let the client have the trade, changing the “give up” after the fact, and kept the winners for his personal account. It seemed to Van Valkenburgh to be an easy way to pay for the Botanical gala, but he had not counted on the enmity he’d built up among the other brokers in the crowd. In the Silicon crowd, Curtis reserved a special distain for “Fud” Simons. Short, rotund and covered with dandruff and bits of whatever meal he last eaten, “Fud” seemed dull-witted but was, in fact, the most cunning of “The Parables”. Having suffered years of verbal abuse from Van Valkenburgh, he now saw in himself the agency to force Van Valkenburgh’s expulsion from the exchange. “Fud”s brokerage operation shared Booth X in the Main Room with Neuberger,Berman and he’d gotten to know Orthwein’s grandson over the months. He’d formed an opinion that the boy could handle himself. He took Schuyler aside and laid out a plan that “Fud” felt would not only raise Schuyler in his grandfather’s eye, but, more importantly, make his future in the Silicon crowd a comfortable one. In the mid 90’s, hedge funds were still young and their information at times was “enhanced”. “Fud” had many of these accounts and they provided insights that he’d played to good use. It was what one of the funds told him about Silicon, that allowed “Fud” to play his hand against Curtis. Van Valkenburgh had for years controlled the corporate buyback order for Silicon Technologies. For more than a decade, the company had been reducing its shares outstanding. It wasn’t a particularly difficult order for Curtis to fill daily, but it came with conditions, such that his buying couldn’t begin until 9:35 a.m. and had to end at 3:40 so as not to influence the opening or closing prices. Weeks before, “Fud” had received a call from one of his “better informed” hedge accounts who told him that on Monday, September 25th Silicon would announce at 3:50 in the afternoon the firing of their CEO for embezzlement. On the afternoon of that Monday, “Fud” is joking with the other brokers in the crowd when young Schuyler comes running up to him with an order at 3:45. “Mr. Simons, there was no one else to bring this, so they told me to get this to you immediately” and he hands “Fud” an order to buy 2 million shares “Held” ( meaning it had to be filled by the close) of Silicon with the “give up”, BSC, or Bear Stearns. It was well known that foreign accounts, unencumbered by insider trading rules, used Bear Stearns as their clearing house of choice. “Fud” goes into a coughing fit, seemingly overcome by the responsibility, and is led out of the crowd and seated on another specialist’s jump seat to recover. Curtis, having seen the ticket, realizes that his ship has come in and starts buying everything he can during the next five minutes, 500,000 shares, sure that he can dump them to “Fud” when he returns to the crowd. At 3:50, the news about the CEO’s embezzlement is released and a Governor of the Exchange rushes in to halt trading. Curtis turns white and turns to the other brokers to change the “give up” on his purchases and then, freezes, realizing that his company order has expired at 3:40. “Ben, Mr. Orthwein, could you join me in the luncheon club? There is a problem….. In 1987 George Soros was hardly a household name. He had yet to break the Bank of England, and although highly regarded within the small group of Wall Street traders who covered hedge funds, these types of clients were still relatively unknown. Yet George was still a player who swung a big bat – especially in the burgeoning financial futures market. In 1987, Soros was convinced the world’s stock market were vulnerable to a correction, but mistakenly forecasted the crash would emanate out of Japan. 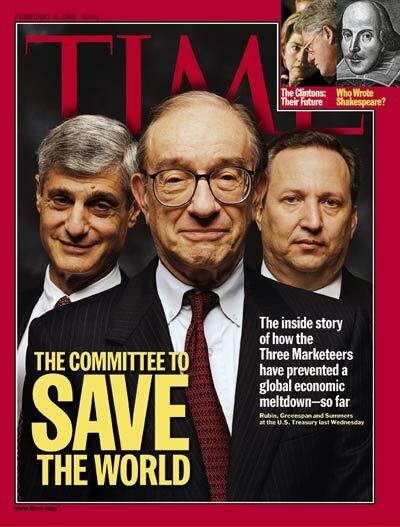 After all, Japan seemed most bubblicious, and Soros thought the Nikkei’s meteoritic rise was unsustainable. George put on a large short Nikkei / long S&P 500 futures position. The trouble was, Soros got it wrong. 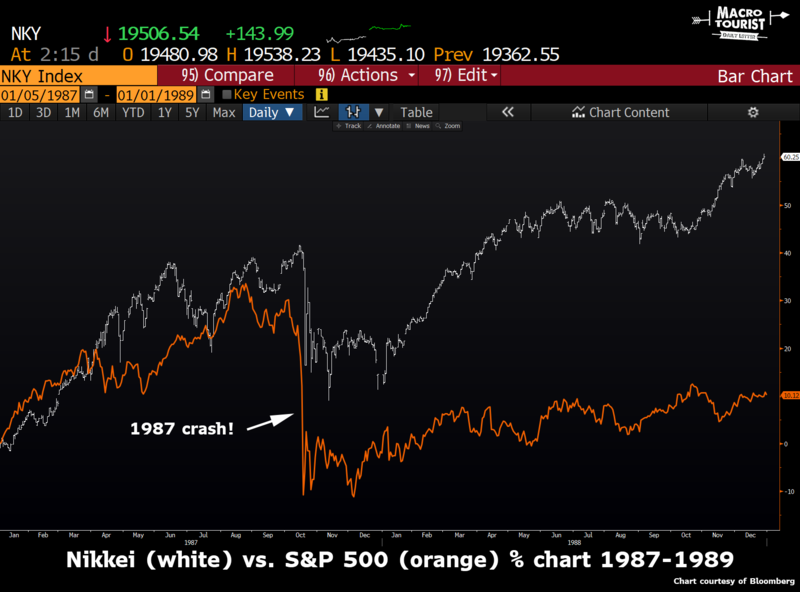 The Nikkei still had a couple more manic years of rising ahead of it, and the ‘87 crash started in the United States instead of Japan. How did George manage through this period with his large position? After all, US equities suffered their worst one day decline in history. Let’s have a look at the chart of the S&P 500 futures contract during this volatile week. When you look at the following 5 minute chart, and see how the S&P 500 contract was down almost 80 handles on the day of the crash, it easy to be fooled into thinking it might not have been that bad. But you need to remember that the S&P 500 closed at 281.50 on Friday. So Black Monday’s decline on October 19th, 1987 would equal almost 700 points in today’s market. We are trading at 2,460 as I write this, so imagine a crash tomorrow that sends the spooz down to 1,750 in a single session! Many of us know the story of Friday’s decline that was celebrated by some as the end of the correction, only to be followed by Monday’s gap down and the accompanying collapse. Then Tuesday’s attempted rally that failed, with the scary push down to a new low. Finally, Wednesday’s big gap higher that managed to hold all day. But how many remember Thursday’s open? Have a look at the monster gap down. 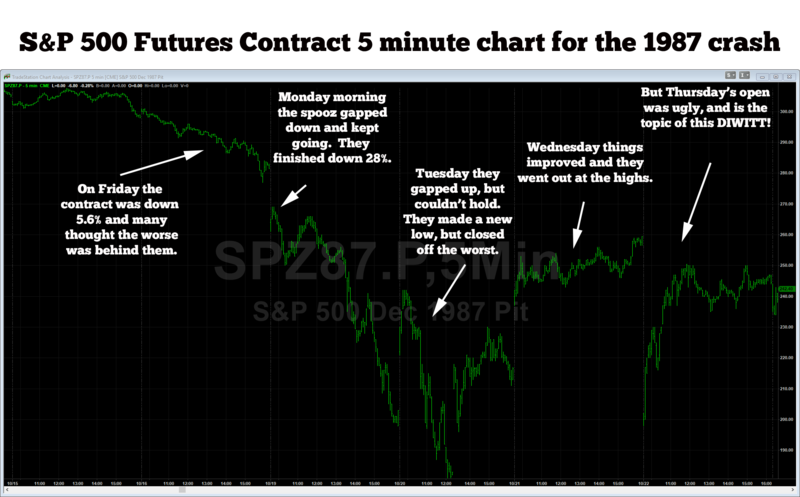 The difference between Wednesday’s close and Thursday’s open was over 22%! That story is not well known, and is the subject of today’s DIWITT and is a trade that Soros would most likely like to forget. I am not going to tell the whole story, but take snippets out of a couple of books to tell the tale. 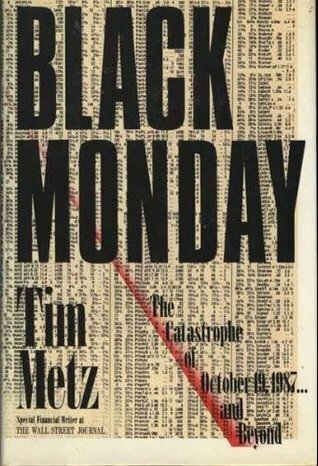 The first is Tim Metz’ Black Monday. Before we start, you might be confused when the author talks about “cars.” Cars refer to contracts because at one point, contracts were often the amount that would fill one railway car. 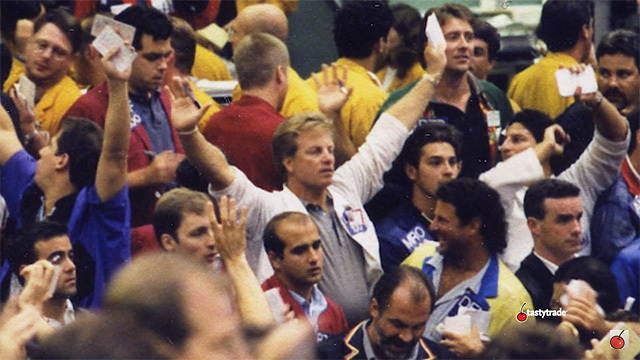 It was something particular to the CME and seldom used at the CBOT. Often, it gave away a trader’s background. Anyways, on to the story. October 22, 1987. Chicago Mercantile Exchange trading floor, 9:30 A.M., EDT: The price voltility in the pit has seemed to lose its rhythm and any semblance of predicability, with this terrifying exception: The word has spread everywhere at the CME this morning that Shearson Lehman Brothers plans to sell thousands of cars on today’s opening. “Shearson’s floor broker offered 6,000 cars on the opening. Nobody would say anything [that is, make a bid]. Finally he got a bid of 198, down 60 points from Wednesday’s close. And he took it. Then he sold 8,000 more cars in the first minute of trading. It had to cost them $300 million to do that. And then, in another minute and a half, the price was back up to 230,” he will remember. “Apparently it became known in the pit that there was a large customer order to sell several thousand contracts, and given the uncertainty of the market, many of the locals backed away. However, beginning suddenly at 9:30 A.M., the futures began to rally sharply, reaching the 230 level within three minutes. Approximately two hours later, the S&P futures were back above 250.” It was an instant 24% decline followed by a 28% rally in two hours. Goldman Sachs bought some of the contracts at the opening, Bob Rubin, the firm’s top trading official will confirm. So did Shearson, acting for its own account, another official will confirm. “I was mad as hell when I found out it was one of our own customers’ sale,” he will add. The seller was high-stakes Wall Street investor, George Soros. “You ought to talk to George about that trade, if he’ll talk to you,” Rubin suggests. But attempts to reach Soros will be unavailing. The incredible bust will be a miracle that changes the life of one of Sterfling’s local colleagues, who on Wednesday, yesterday, mistakenly neglected to close out a short position of twenty-five cars. The mistake could have been a disaster if the market had opened sharply higher. Instead, the price break caused by Shearson’s selling will let him buy the twenty-five contracts he needs at less than 200, giving him a profit of “$700,000 to $800,000. I only knew him by badge number and he wouldn’t talk about it. He just walked out the pit, sold his seat, and he hasn’t been seen back on the floor since that day,” Sterfling will recall. Pretty wild story. I found the part where Rubin and the squid were there to provide the liquidity to the other side of the trade most amusing. And then Bob needling the author to ask Soros about the trade was just a little dickish. But should we expect anything else from a Master of the Universe? At the opening Thursday morning, I was on the horn with Debbie. Prechter was the guru of gurus. If he said the market was going down, there was a good chance it would. Either way, up or down, this market was so volatile that I had to be on top of it. Ding. There was the bell. The market was open. With the market moving like this, it wouldn’t be unusual for the boys to conveniently forget about a few of their trades. “GO!” Click. I turned to my screen. The 202 was just coming up, then the 200. Then a 198, 197, 195. Wait a minute! 197. 200. 204. The market had turned around. But that was all right. I had to be covered at no worse than 200. What a killing! I was shaking. I didn’t know whether to be happy or pissed. I’d made $290,000 on the twelve lot (5 x 500 x 55 points in profit, 5 x 500 x 45 points, and 2 x 500 x 40 points), and the boys at the Merc had taken about $50,000 in “slippage.” Two hundred and ninety thousand dollars on a twelve lot! That was unbelievable. It turned out that Shearson’s thousand contract sell order at the market had been on behalf of George Soros’s Quantum B.V.I. Mutual Fund. Apparently, Soros felt like Prechter and had decided to dump all of his fund’s 2,400 S&P futures contracts at the opening bell. According to Barron’s, when the first order to sell 1,000 contracts at the market hit the pit, “the pit traders picked up the sound of a whale in trouble.” They hung back until the offer dropped to around 200, then attacked. The Soros block sold between 195 and 210 and, within minutes, the market had bounced back to 230, leaving a lot of instant millionaires celebrating in the pits. This is one of the most famous trades in the history of the Merc and many of the details subsequently came out in U.S. District Court in Chicago, where Soros sued Shearson for $160 million (subsequently settled out of court). According to Inside Skinny, Soros actually lost $800 million. “Motty. He was long .up the ying yang and he panicked.” I just remember it as the day I out-traded the great George Soros. I was still shaking when I went into the apartment. The part of this story that almost everyone glosses over is why did Soros blow out his position at the open? Did he give an order to punt it out at market? Surely he would understand the danger in this type of order. No, I can’t believe George just told his broker to get it off the sheets at any cost.To me, the only thing that makes sense is that he had a margin call and his broker sold him out. And then the real question is the handling of the order by Shearson. I dug around some forums and found a couple of great posts on EliteTrader.com from traders who were in the pit during this time. A couple of things about that Soros order. A friend of mine who was a local that day in the Spooz told me the filling broker (it was a Shearson-Lehman house broker) tipped the order to everyone around him. (I think it was 5000 plus cars). He told locals “don’t bid me, I’ve got a chunk to go” etc. Not only did he fill the order down to the 180’s (about 30pts below fair value) but he oversold the order and by CME rules he had to take the worst few hundred contracts for himself as part of the error. The error cost Shearson several million. Borsellino and many arbs bought about 2000 on the lows and the market rallied about 20 points in increments of 2-5 points at a crack. A relative of mine was long 200 coming in and bought 200 at the same levels as Lewis and still made money on the day after being down around 6 million early. Man u guys brought back some memories. I just stumbled on this thread re: ‘87 crash. I was in the spooz then. I remember going home that Friday (Oct 16) with a bad feeling. Sunday night the big news was Tokyo…down big Monday morning was unreal. U had to be there to believe it. The Shearson desk got a sell order from Soros to sell 2500 futures (old spooz…as in $500 a handle) before the opening bell. U should have seen their filling broker…..offered it all the way down while showing his size. The locals who didn’t have positions just let it fall like a rock. Not a good day to try and pick a bottom. Best story of the day was about a filling broker who went the wrong way on a chunky order, and made a million plus. I remember reading another book that went into detail about that morning. Unfortunately, I cannot find it, but I remember the famed S&P 500 pit local Lewis Borsellino figured prominently in the story. The controversy centered around the fact that Borsellino allegedly offered it down ahead of the Shearson broker. He did so by screaming “at 220! at 219! at 218!” Usually, if you offer, you have to show size. So the typical pit order would be “500 @ 220!” On the other side, when you are buying, you put price first, so a bid would be “219 for 25.” With Borsellino’s offerings, he didn’t disclose size so technically he would have had to fill the entire pit for all cars wanted at that price. But no one wanted any of Borsellino’s offerings, so he was just pushing down the price ahead of Shearson’s (Soros’) order. Did Borsellino collude with Shearson, or did he just smell blood? Either way, the pit ripped Soros’ face off in what has to be the wildest open in the history of futures trading. I started work on Canada’s biggest dealer’s institutional equity desk in the early 1990s. I was hired to help another trader whose large index client was increasingly taking more of his time. Back then Wells Fargo was the world’s biggest index fund and serving them took a fair amount of technical skill to execute the large baskets they wanted to transact. As my boss later told me, “there were candidates that had better computer abilities than you, and there were candidates that had more trading experience, but no one had your mixture of both skills.” I was lucky to be at the forefront of the computerized trading revolution, and therefore I progressed quicker than many other traders. Within a couple of years I had graduated from serving index clients to running a large equity index derivative book. Most of our trading was index arbitrage and making markets in ETFs for institutional clients, but we quickly became the biggest index player in Canada. Although I was good at laying off risk through various markets, I was still a young punk that hadn’t been around the block. I took for granted the seemingly bountiful amount of bids and offers in all the instruments I traded. As I became more confident in my abilities, I made markets in larger and larger chunks of stock index ETFs for institutional clients. The other liability traders on my desk would struggle when forced to buy a big piece of a single stock – although they could hedge some of the risk out with positions in other similar type names, there was still a ton of single stock risk. But for me it was easy to bid or offer a million of an ETF on the quote. Our group’s ability to lay off risk was much easier. We would wander into the stock index futures pit and wind down our position. When we ran out of locals to stuff, we would work out the balance through program trading. For some kid in his mid twenties, it seemed like an easy game. But I still remember the first day I realized that liquidity is not always there when you need it. I didn’t learn this lesson on some big down day when the market went no bid at any price (that lesson was still to come). No, my first realization you can be bigger than the market came on some innocuous summer afternoon. There wasn’t much going on and many traders had split to golf (back in the mid 90s everyone golfed and my lack of this skill made me an unusual oddball on the trading desk). One of our agency traders got a call asking us to bid on a few million XIUs (which is the Canadian equivalent of the SPY). I think I bid down a nickel and he pasted me. We got to work trying to lay off the risk. My partner in the futures pit started making sales. I got on the offers with sell programs in the box. We moved down all the quotes and managed to sell a quarter of the position at a profit. The next quarter was sold at breakeven, and then it slipped below our cost. We kept selling, but the bids were quickly disappearing. Usually when you move quotes, the new price levels encourage more liquidity. Traders think they are getting a deal, and are eager to take advantage of the immediate demand for liquidity. Yet when we moved the quote down, this time there was nothing underneath. As we continued selling, other traders started thinking something was up, and they began selling alongside us. Next thing we knew, the market hit an air pocket. We were still long more than a million XIUs and the market was suddenly in a little mini-free fall. We knew that it was our selling that had caused this mini-crash so I did what every brash twenty five year does – we started buying. Yup, next thing we knew we were getting even more long desperately trying to stop the rout we started. Eventually we decided this decline in Canadian stocks was just stupid, and we phoned up our contact in the Chicago pits to hedge out our position by selling a few hundred S&P futures. We waited it out overnight, putting on an imperfect hedge, unwinding our large long the next day when liquidity had returned to the Canadian stock market. I think we managed to only lose a little, but it was scary to realize how quickly the bids could disappear.